I am so excited to have Amy, from Delineate Your Dwelling sharing her project today. I am beyond thrilled to have her on my contributor team. She is a super creative land always full of bright ideas! Take it from here, Amy! Hello, Place of My Taste readers! I’m Amy from Delineate Your Dwelling and am so thrilled to be a new contributor with Aniko on her amazing blog. 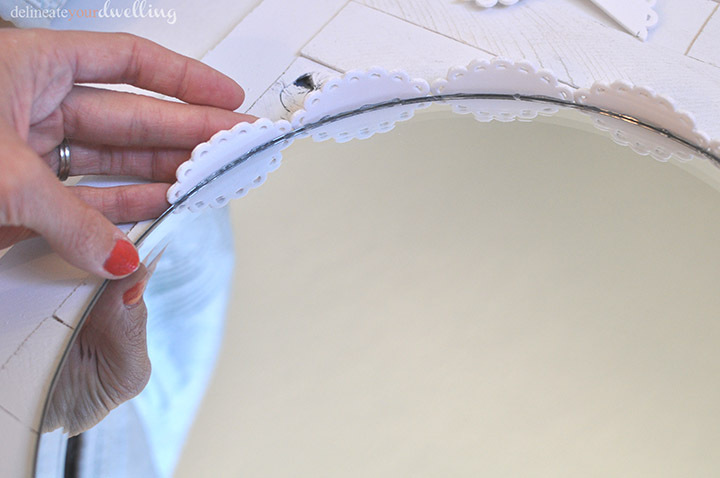 Today I will be sharing this clean and simple looking Decorative Mirror. First, I cut my white foam sheet into 3-4″ strips. It made it much easier to punch out the foam this way. 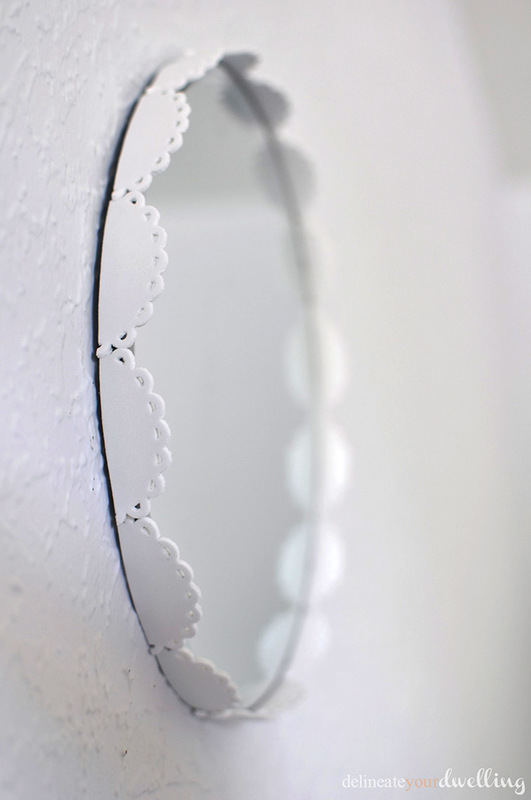 My mirror was only approximately 12″ in diameter and since I cut my shape in half, I only needed about 15 punched out ovals in total. 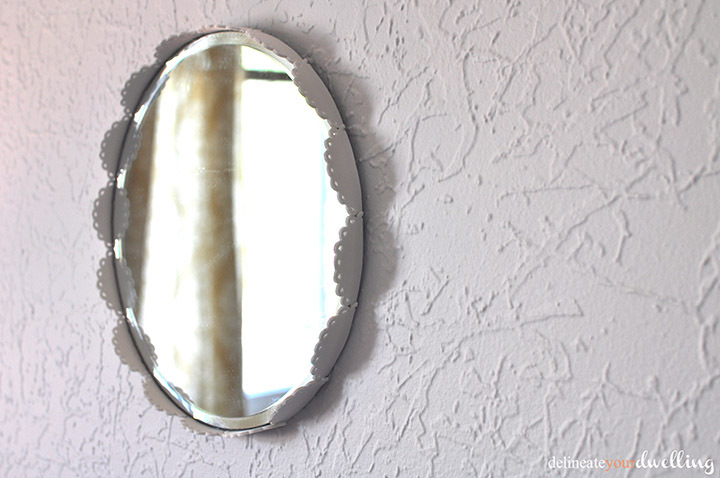 Once I had punched out all the shapes and cut them in half, it was time to apply them to the mirror. I simply used a small line of hot.glue along the edge and held in place for a moment. This entire mirror from start to finish took only an hour. I love how simple and delicate it turned out. After I had applied all the foam shapes, I adhered a picture hanger to the back of the mirror and it was ready for the wall! Did I mention I was inspired by this Crate and Barrel mirror for $149 and my mirror only cost $8! 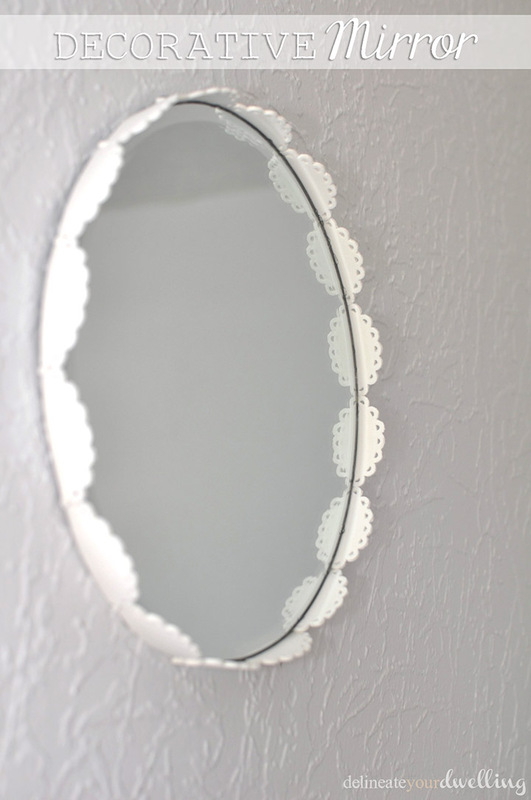 If you liked this Decorative Mirror, then you might also enjoy a few other projects over at Delineate Your Dwelling. 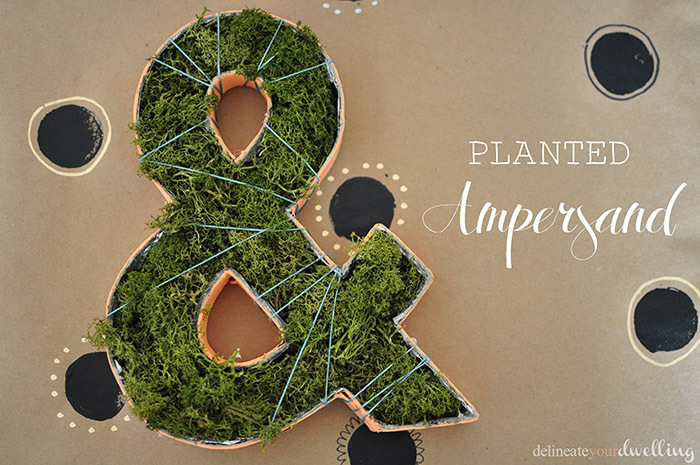 One of my favorites was my Planted Ampersand. 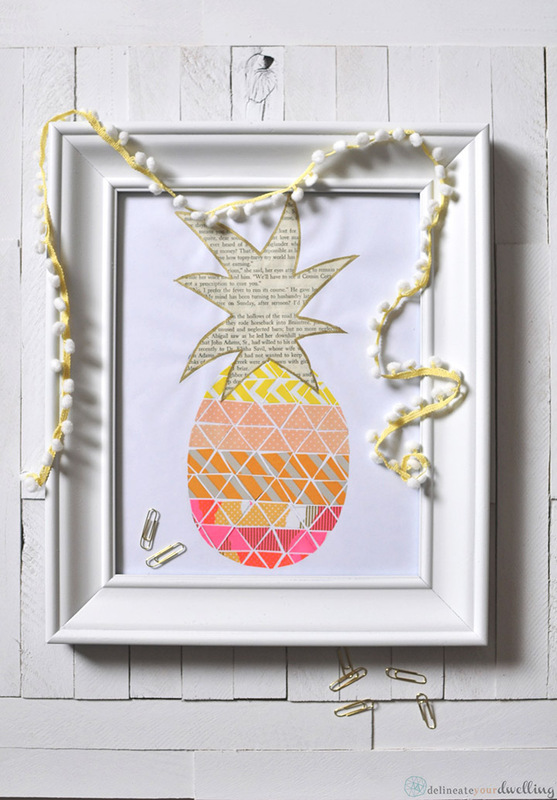 Another favorite was my recent Pineapple Washi tape print. Show Amy some love today, Friends! 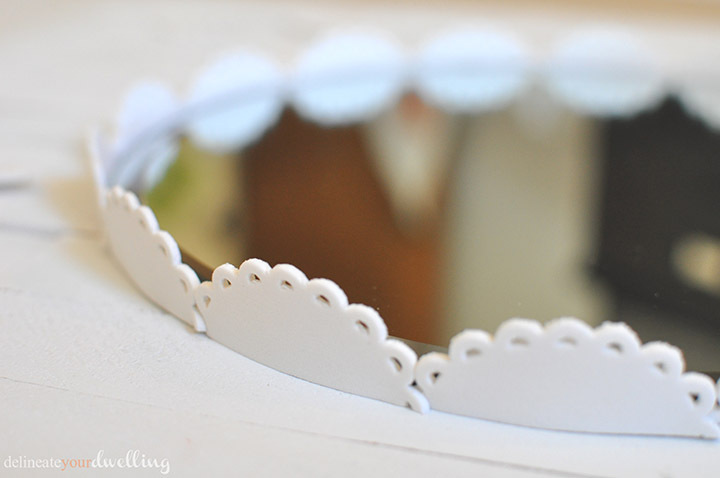 I love this mirror project!!! It’s so simple but packs a huge punch. Great job Amy! Gorgeous mirror! Who knew such a small detail could really make a huge difference! Wow! This project is so amazing! I would have never thought that the sides were made out of foam! So creative. Amy did a great job! So simple yet pretty!! What in the world?!! This is so darling! I had no idea that it was foam, it looks like ceramic or clay in the pictures. Nicely done! This is so simple! I would have never thought foam pieces… Thank you! 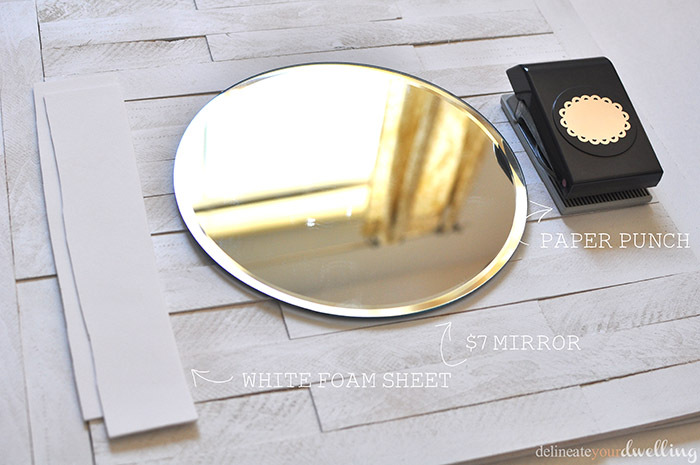 I have the perfect heart mirror that needs just this! And, I could change the colors depending on the holiday or season! 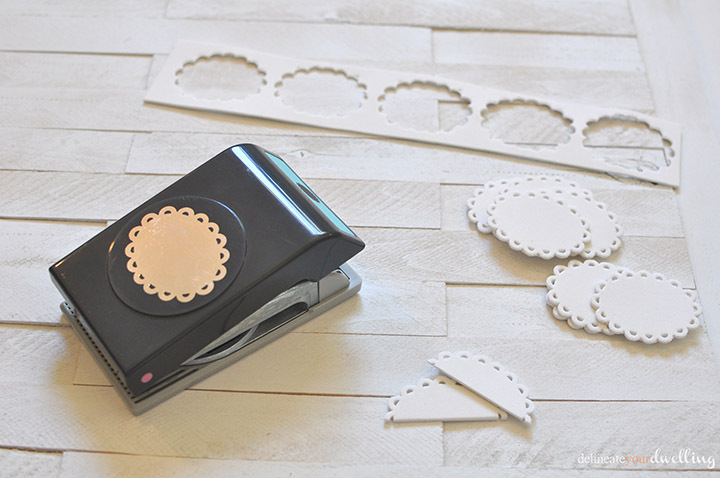 I love this, I never would have known what the edges were made of without seeing the tutorial! It looks great!